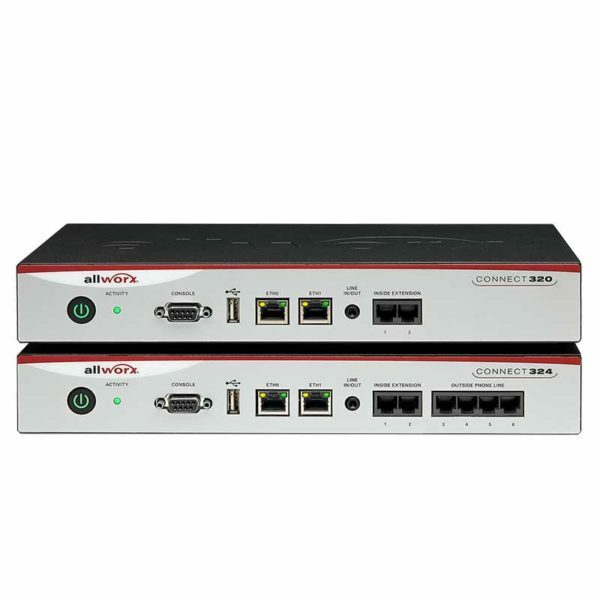 Connect 324 – Up to 20 users per site. 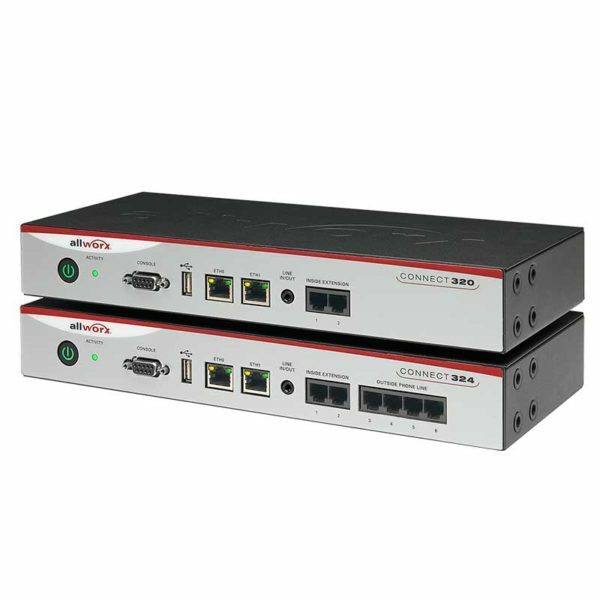 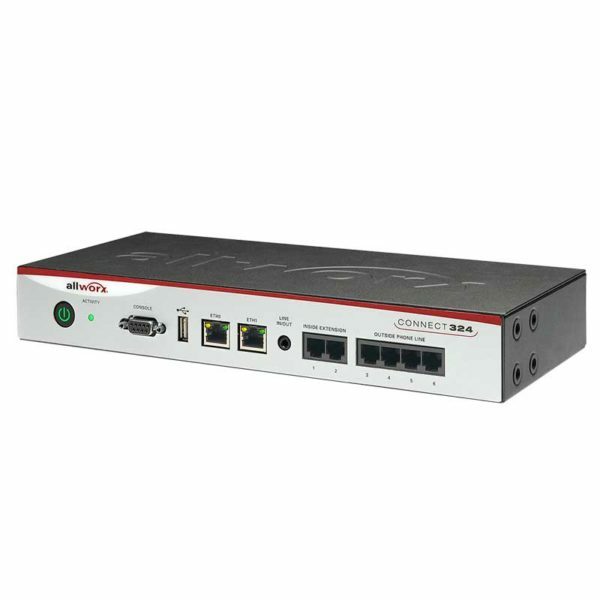 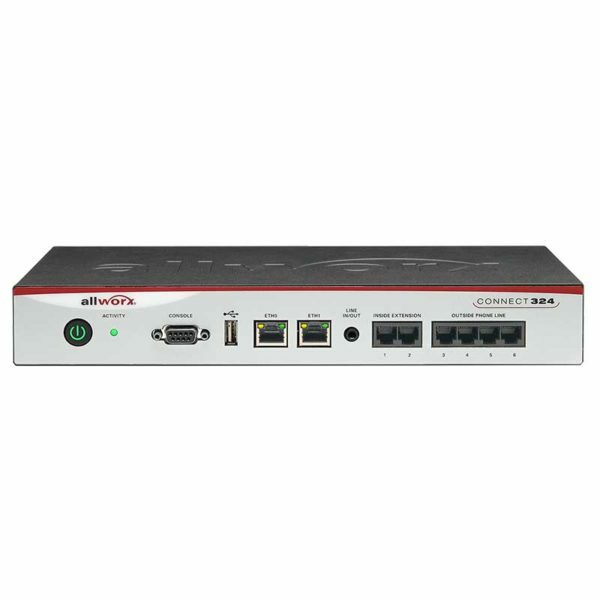 Includes 12 base users, 4 FXO ports, 2 FXS ports and 8-port voicemail with unified messaging. Supports up to 12 concurrent external calls.